Hills Science Plan Small & Miniature Senior will help maintain your little dog’s strong immunity continuing his healthy, long life with you. The food is enriched with Omega-3 fatty acids to support brain health and vitality in your senior dog. All with a great taste he will love! Clinically proven antioxidants to support immunity for a healthy, long life. Enriched with Omega-3 fatty acids from fish oil and a combination of nutrients to support brain health and vitality in senior dogs. Essential nutrients to help maintain healthy heart and kidneys. With L-carnitine and Omega-3 fatty acids for lean muscles and healthy joints. 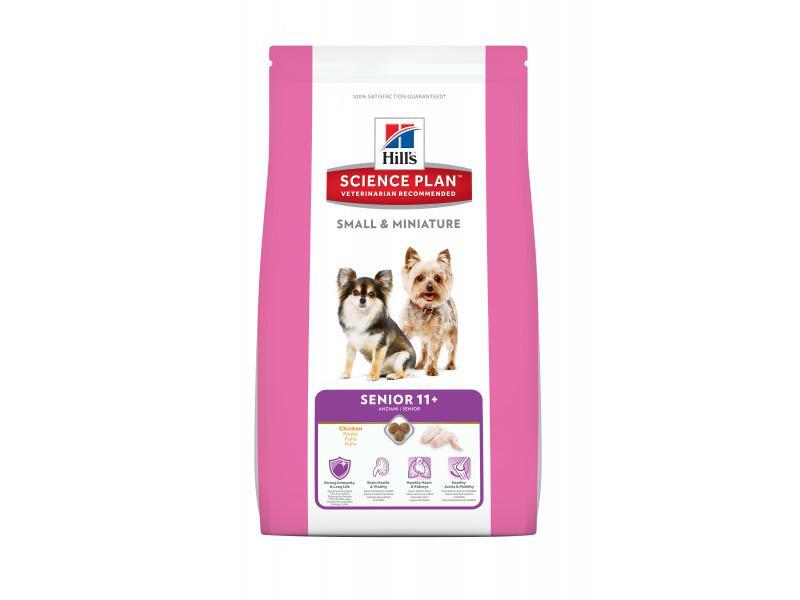 There are currently no questions for Hills Science Plan Small & Miniature Senior Dog Food - be the first to ask one!